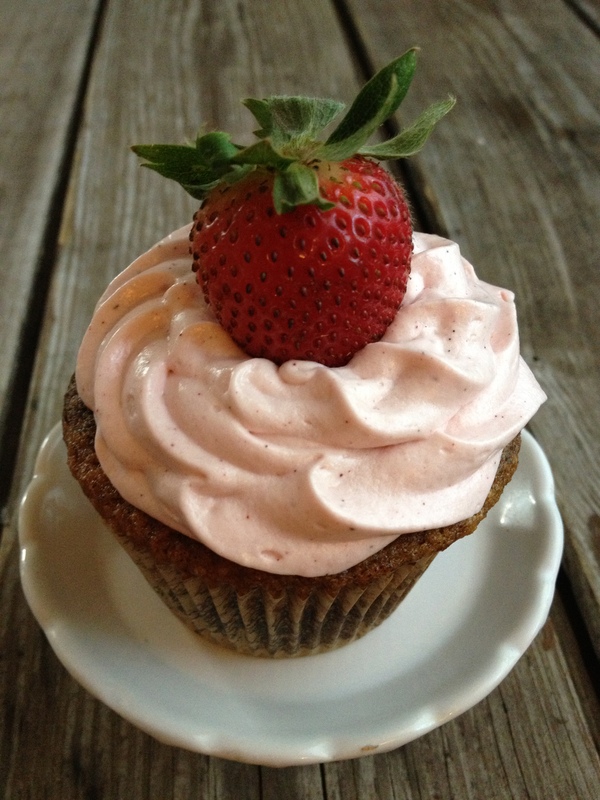 Strawberry Cream Cheese Frosting: Surprise, It's Dairy-Free! 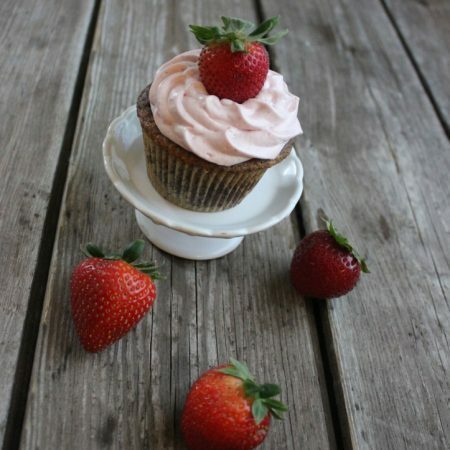 Strawberry Cream Cheese Frosting: Surprise, It’s Dairy-Free! Dairy isn’t my friend right now. I keep trying to at least get along with dairy, even if we don’t get to be close friends. I indulge in a little goat cheese with roasted beets. I occasionally put a smear of my favorite sheep milk cheese on a muffin. And then body reminds me it’s just not gonna work out between us. Darn it. This means no cream cheese either. Until recently the only non-dairy cream cheese I could find didn’t work for me on two levels: I didn’t like the flavor and texture and it contained ingredients I would rather not eat. 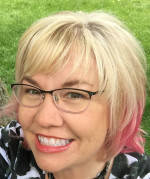 Last week that changed. Daiya’s new Cream Cheese Style Spreads starting showing up in the Kansas City area. I first found them at a grocery store across town, thanks to Marly. I still haven’t found them at any of the stores where I expected to spot them (Whole Foods, Nature’s Pantry) but did find them at a mainstream grocery store just a mile from home. Crazy! 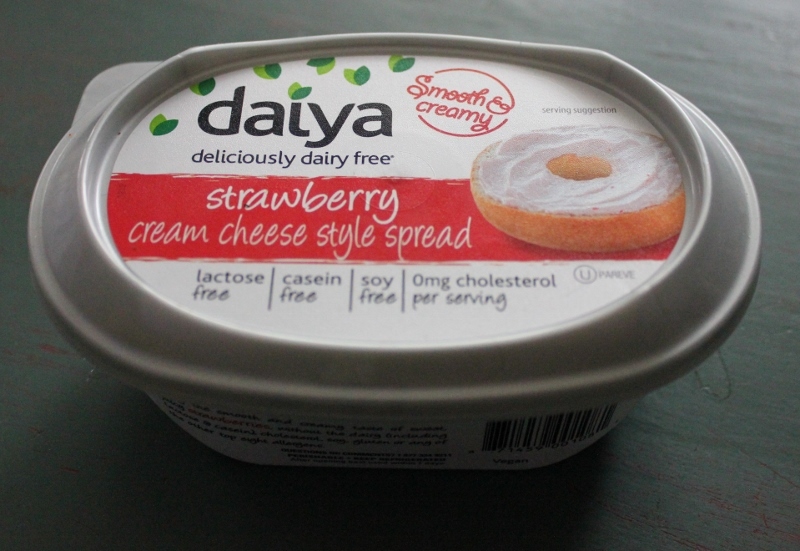 Here’s the scoop on this new yumminess from Daiya: it has the texture of “real” cream cheese. The strawberry variety used in this recipe contains real strawberries and no artificial colors. It’s great on a bagel. In fact, I bought gluten-free bagels for the first time in over a year just so I could try it out. And then I made frosting. Boy, did I make frosting. I frosted these cupcakes and took them to the drive-in movie for our friend Dave’s birthday. A gal there was over-the-moon about the frosting. She was so surprised when I told her the frosting was dairy free. That’s my point exactly, you’d never know! In bowl of stand mixer fitted with paddle attachment, cream together stick of Earth Balance and Daiya Cream Cheese Style Spread. Blend on medium until well incorporated. One cup at a time, mix in powdered sugar with mixer on low. Add another cup only after the first is incorporated. Slowly, a teaspoon at a time, add in non-dairy milk until frosting is the consistency you prefer. With mixer on medium-high to high, mix frosting until it is light and fluffy. This frosting is best kept refrigerated. It did hold up well in temperatures in the high 80s outdoors, but I wouldn't recommend it, especially if you are a heavy froster like me. You truly excel at cupcakes, Johnna! Like you, I keep trying to be friends with dairy and it keeps stabbing me in the back. 🙁 Love that there’s an alternative like this now. 🙂 (I couldn’t go for those other dairy-free subs either.) As I told you earlier, I adore that last photo!